The new Seagate FireCuda Hybrid drives combine the speed of Solid State Drives and the capacity of hard disk drives with improved boot times applications loads and overall system responsiveness-without sacrificing capacity or budget. 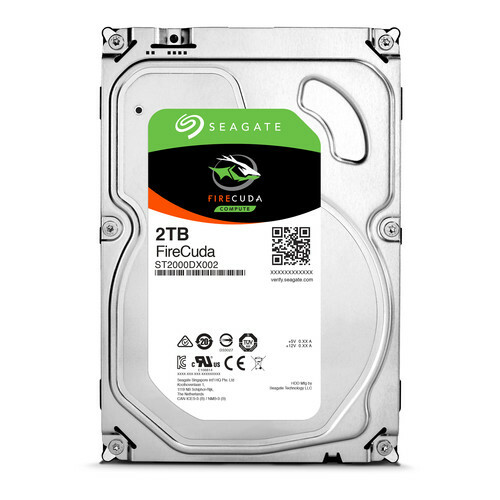 The Seagate FireCuda drive comes equipped with a SATA III interface and is compatible with systems that have an available 3.5″ drive bay. The spinning portion of the drive sports 64MB of cache memory along with an average read speed of 156 MB/s. The flash memory is capable of up to 190 MB/s read speeds. Moreover, this hybrid drive is designed to work in virtually all systems without installing additional drivers or software programs.